Some say the olive is the best part of a martini. 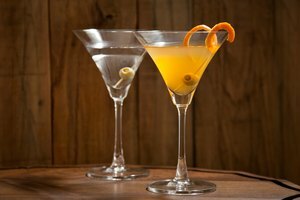 Martini drinkers often claim that garnishing the beverage with olives gives it an extra kick of flavor. 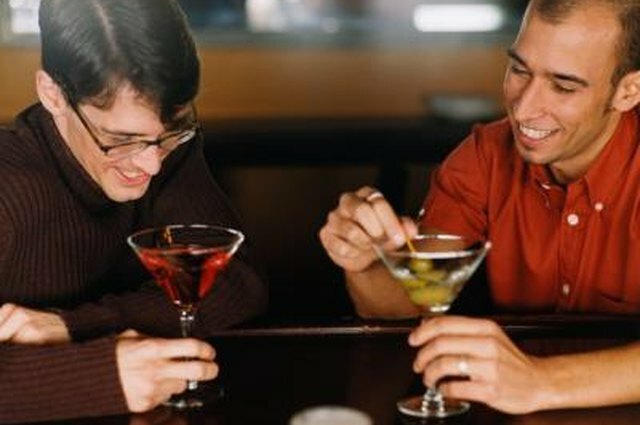 Cocktail party-goers insist that the simple olive garnish turns gin and vermouth into a martini. 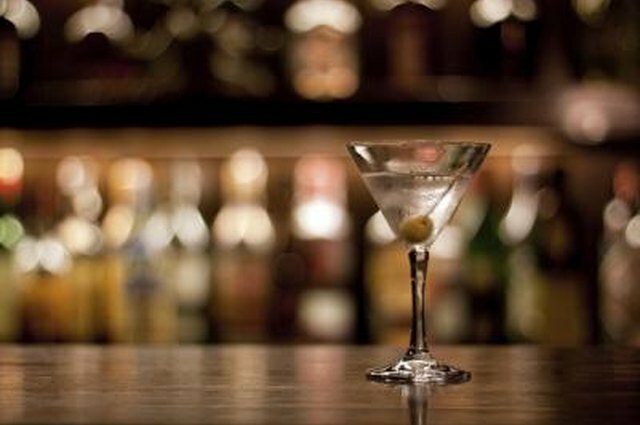 The olive has its positive health effects, but it's hardly the reason why it's a necessary ingredient in a great martini. 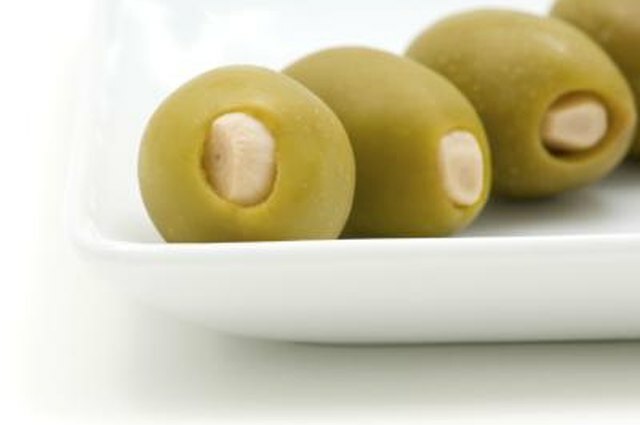 Bar olives used in the drink are preserved in brine and their salty flavor alters the taste of the drink. 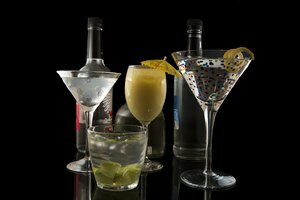 Martinis are typically garnished with three olives; any additional are served on the side. Many recipes for the classic cocktail recommend using gourmet olives to embellish the drink. Dedicated martini drinkers savor the olives at the end of the drink. Olives soak up some of the gin and vermouth, giving them a unique taste. 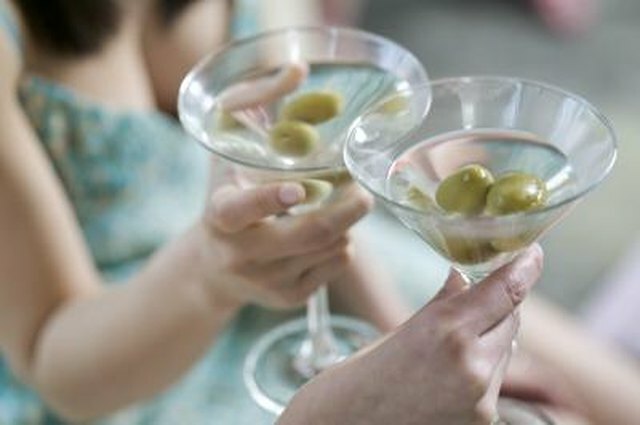 When the drink comes with more than one olive, martini lovers typically eat one olive with the first sip, using a cocktail pick or just swallowing. The second or last olive is swallowed with the last of the drink. No matter what type of olive you use, always use fresh ones. Old olives will ruin a martini. 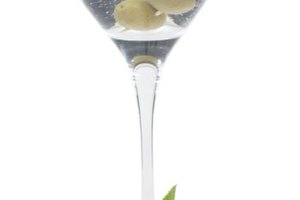 There are countless types of olives that can be added to a martini. 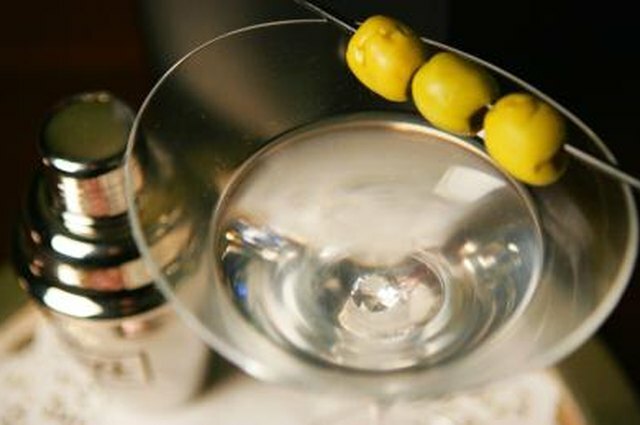 In addition to the typical bar cocktail olive, gourmet olives stuffed with garlic, blue cheese, onion, anchovies or almonds may also be used to give a martini a more distinctive flavor. Recipes that call for cocktail onions instead of olives do not make a true martini; they make a Gibson. 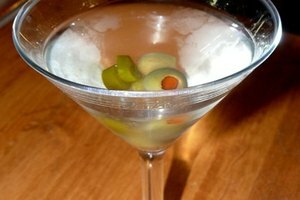 The olive garnish is what makes the martini cocktail. When other garnishes are used, it becomes an entirely different beverage.